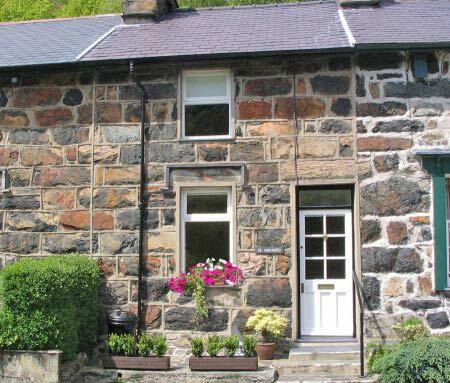 Arosfa Holiday Cottage in Beddgelert provides quality self catering accommodation for 2 people in the heart of the Snowdonia National Park in North Wales. Built as a copper miner's cottage in the 1830s, Arosfa (which means "rest here" in English) is immaculately presented to provide very comfortable accommodation for 2 people. Arosfa is one of a row of pretty stone-built cottages in Beddgelert located at the foot of Snowdon and opposite the clear waters of the River Glaslyn. This holiday rental in Beddgelert is a perfect base from which to explore Snowdonia and the rest of North Wales. Downstairs there is a lounge/dining room with comfy seating and dining table with chairs, which includes a feature fireplace with cosy log-burning stove, and an outlook to the surrounding mountains. There is also a digital TV with freesat (BBC, ITV, Ch4, Ch5, all BBC regions etc, plus 200 other free-to-air channels) plus DVD and CD player with radio. The cottage has free WiFi for internet access from your laptop or other wireless devices. A fully equipped fitted kitchen includes a 2 ring ceramic halogen hob, a high quality combi oven/microwave, extractor fan, fridge, kettle, and toaster. 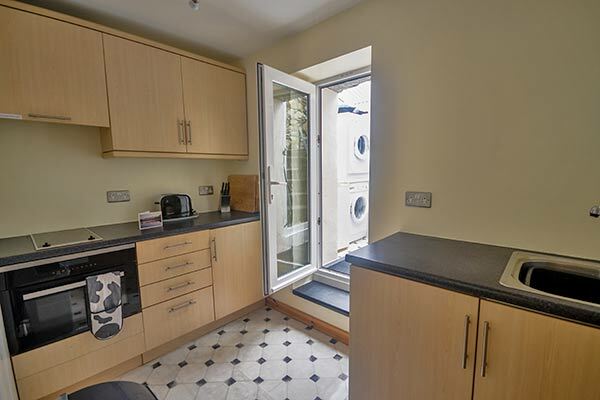 There is plenty of storage space, and a full compliment of all the usual culinary equipment and kitchen essentials. All cleaning equipment and tea towels are provided. A separate utility and drying room contains a washing machine, tumble dryer, and freezer. Upstairs there is a spacious bedroom with a double bed, two bedside cabinets each with three drawers and bedside lamps. There is plenty of storage space with a roomy walk-in wardrobe / dressing area. Views from the bedroom window look out over the River Glaslyn and the mountains. All bed linen is provided. Upstairs there is also a bathroom with a bath, shower, heated towel rail and washbasin, and a separate WC. From the utility/drying room, a door leads into the back garden, planted with shrubs, and bordered by birch woodland on the mountain slope behind. There is a patio / seating area with table and chairs, and fine views over the cottage to the surrounding mountains. To the front, street parking is available outside the cottage. If you prefer to park off the road, alternative parking arrangements are available - please ask for more information. No pets are allowed at this cottage. 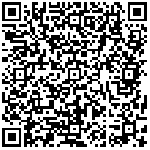 See the location page for information about things to do and see around Beddgelert and Snowdonia. You can download our PDF brochure of Arosfa. See the photo gallery for more photos of the cottage. Short and mini breaks available out of season: 4th January - 23rd March & 2nd November - 21st December. Short breaks are Friday- Monday or Monday - Friday for £210.00. 2 night mini break for £150.00.
" We've really enjoyed our week at Arosfa and plan to come back! Such a comfortable cottage and so much to do. " " Had a fantastic stay here at Arosfa, the cottage had everything and more that we needed. Will definitely return next year. " 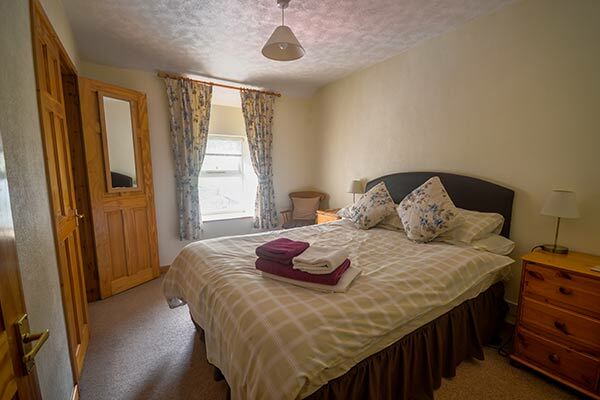 " Lovely cottage, comfy bed and well equipped. Beddgelert pretty and locals very friendly. Perfect location for exploring Snowdonia. Portmeirion beautiful. Advanced booking for Snowdon Railway in high season a must. Thank you. " K & S, West Sussex.
" This is our 5th visit to this super cottage. This time we have had the advantage of beautiful weather which shows the beautiful scenery off at its very best. I am sure we will be coming again! " 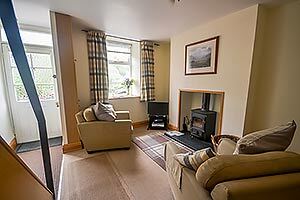 Content is copyright Arosfa Holiday Cottage, Beddgelert, Snowdonia, North Wales.